One of updates included into WordPress 4.5 is jQuery 1.12.3 replaced jQuery 1.11.3. Cool! 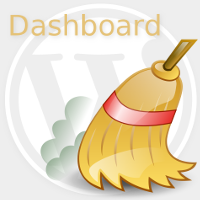 A lot of WordPress plugins adds widgets to WordPress administrator dashboard automatically. Some time you may wish to hide selected widget, – may be it is not interested for you, or may be it even does not contain a bit of useful information. Some of plugins were written with user friendly policy in a mind and has an option at their settings to hide selected widget. What to do with plugin which does not allow blog owner to manage what widget to show at the WordPress back-end dashboard and what does not? Yes, any user may hide unneeded widget switching of correspondent checkbox inside the “Screen Options” at the top of the page. But suppose, that You, as administrator, wish to make your blog dashboard more user friendly and to help your users to spend their time more effectively. Some times you even do not wish to let user know, that some widget is available at all. Use this recipe to make your dashboard cleaner. 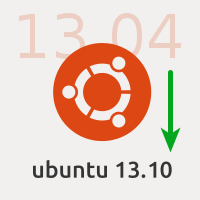 Ubuntu version 13.10 is available for download and update. If you uses earlier version of Ubuntu and just plan to update from version 13.04 to version 13.10, the Fortune is with you. You are the Lucky Boy/Girl (select your own). You may read this post 1st, and then, you will be ready to install this 13.04 to 13.10 update. Unfortunately I was not ready so good as you could, and spent the couple of hours digging Internet to find the right decision for 3 little problems I met after my computer with updated operating system successfully rebooted. The 3 problem, little but critical, as anyone could stop your work as a Web developer. It would be honest to say, that the troubles, which I will describe in this post, are not related neither to the operating system Ubuntu itself, nor to its version upgrade process. There are no bugs and no crashes. I may talk about my case of course. You will meet the real problems in case you are the developer and have Apache/PHP installed at your desktop/server with a lot of virtual web servers defined. Add our popular and lovely WordPress here. Otherwise all update process took, of course, some time, but was fulfilled smoothly and without any headache. WordPress version 3.7 “Basie” is available for download. WordPress developers fulfills their promises. That’s good. – Background updates. Automatic installation for security and bug fix minor updates are enabled by default. As official blog says, you may sleep, but critical update will be applied without your participation. – Better global support. As the part of realized automatic update engine WordPress 3.7 adds support for automatically installing the right language files and keeping them up to date. 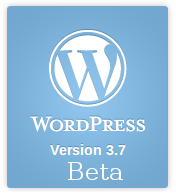 WordPress 3.7 Beta 1 is available for testing. 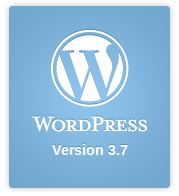 Just few days ago we got WordPress 3.6.1 maintenance and security update. Did you update your WordPress site to version 3.6.1? No? This update is available from September, 16th. So it’s time to install it, sure. The list of fixes is available here. Less than after a month of 3.6.1 release, WordPress developers team announced WordPress version 3.7 availability – October, 2013. Good speed. The most impressive new feature included into version 3.7 is the automatic background update of WordPress core. That’s cool. You may sleep, have a good vacations, but your lovely WordPress will be always up-to-date, and all security vulnerabilities found will be fixed automatically. 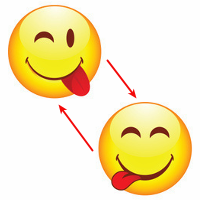 Fantastics which becomes the reality! But this is the one side of the coin only. 1. New default “Twenty thirteen” theme. 2. Various admin back-end enhancements, like menus UI improvements, revisions revised to be more dynamic and scalable, autosave and post locking, preview audio and video on media edit screen, in-line login following expired sessions. 3. Delicious for developers: external libraries have been updated. More info new audio/video APIs give developers access to powerful media metadata, like ID3 tags. Filters for revisions, allowing you to set the number of revisions ad hoc instead of only via a define. More info semantic markup allows themes to chose improved HTML5 markup for comment forms, search forms, and comment lists. Search content for shortcodes with has_shortcode() and adjust shortcode attributes with a new filter. Interested? Read full post for more info.